Muri Ghonto is one of the common bengali dish cooked with fish head and basmati rice. 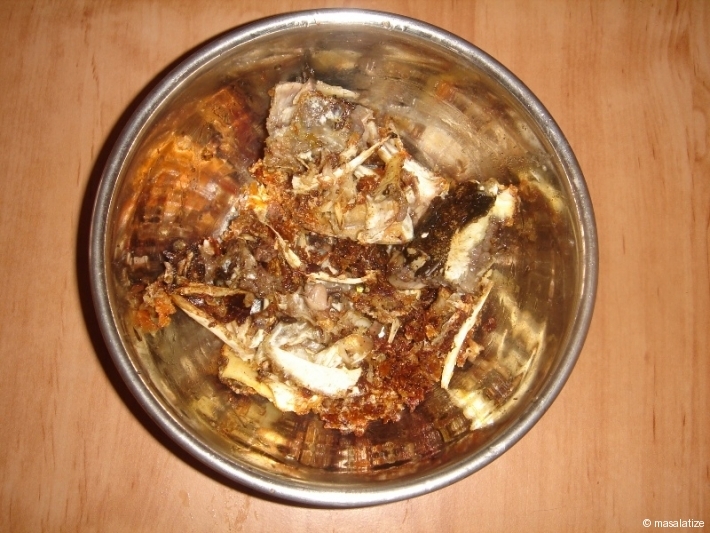 Muri Ghonto is a dry dish made with fried fish head. It is also known as maacher matha or muro in Bengali. 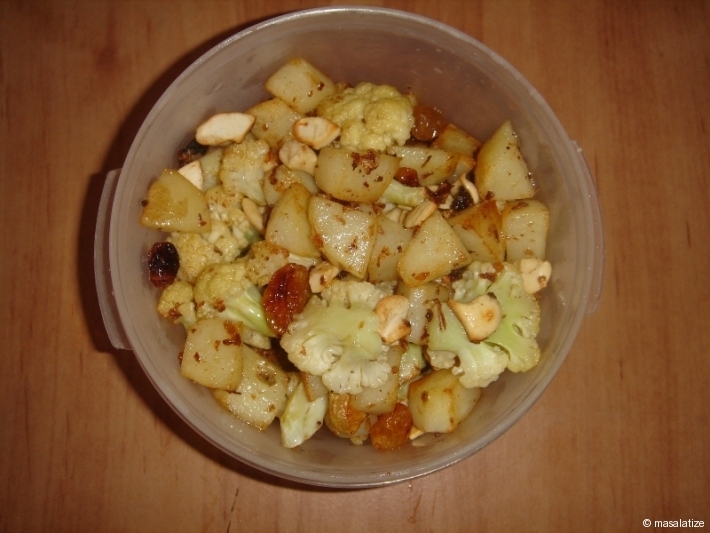 Cut the Cauliflower and Potato into small pieces. Heat oil in non stick kadai and shallow fry the fish head. 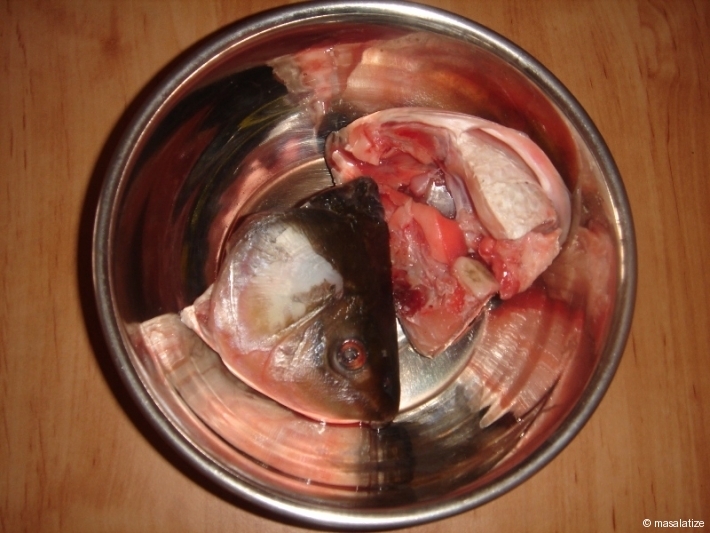 After fry crush fish head into small pieces. Keep aside the fish head. 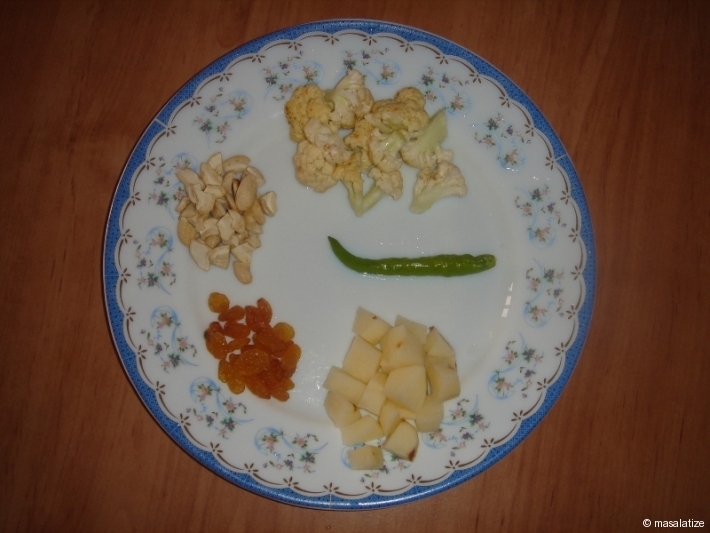 Put rest of the oil in the kadai and fry all the vegetables, cashew and raisin. Before that boil the rice as per your quantity and then put the ginger garlic paste, garam masala, ghee, sugar and salt. Then add all the fried vegetables, boiled rice and fish. If necessary add little amount of water. Cover and let it simmer for few minutes. Now the preparation is ready to serve as appetizer. Got it all wrong…esp the rice part. U fry the rice till it puffs up not boil in water. 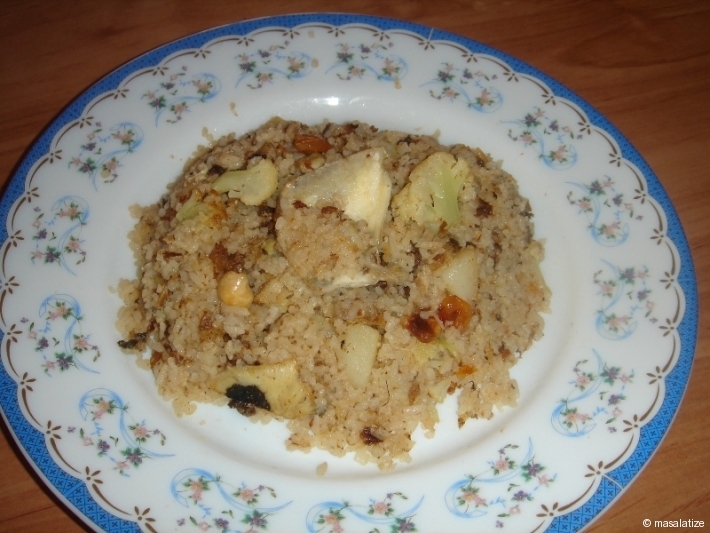 Moori Ghonto is a very delicious Bengali Recipe. Recommended every one to give it a try.